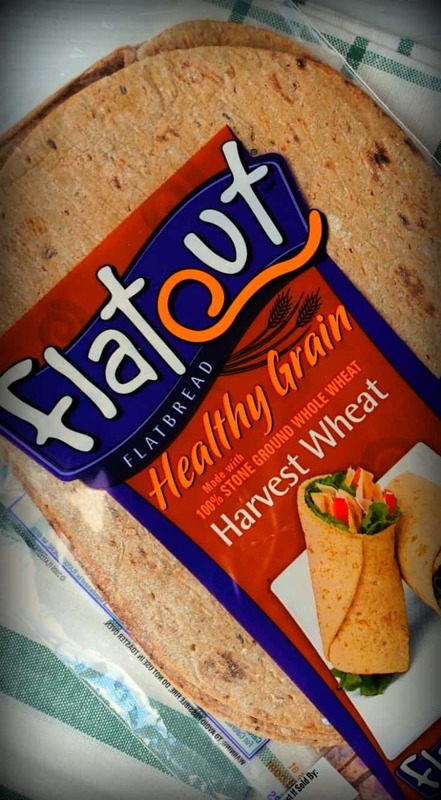 Do you like flatbread? Are you tight on time? If you answered yes, this post’s for you! Disclosure: I was compensated to mention Flatout in this post. I only partner with brands that I myself use and would recommend to clients, so rest assured, it’s Shaw’s Simple Swap approved! How someone could ever give up carbs boggles my mind. Being part Italian, fully American and 100% female, I without a doubt consume this food group on a daily basis… okay #realtalk, at every meal. Rolls, crackers, cookies, potatoes… don’t mind if I do! Though I do love a fresh slice of sourdough or a big soft pretzel, I am very strategic about the carbs I choose to consume. Why? Well, for starters, simple carbohydrates like crackers and white bread are made of refined flour that really have no bang for their buck, nutrition wise of course. I tend to gravitate towards the 100% whole wheat or 100% whole grain varieties that pack at least 5 grams of fiber and 6 grams of protein per serving. Choosing items that meet this criteria help me feel fuller longer, which means I’m less likely to mindlessly munch. Okay, or if I do, at least it’s on a slice of this beauty (whole grain, of course!). 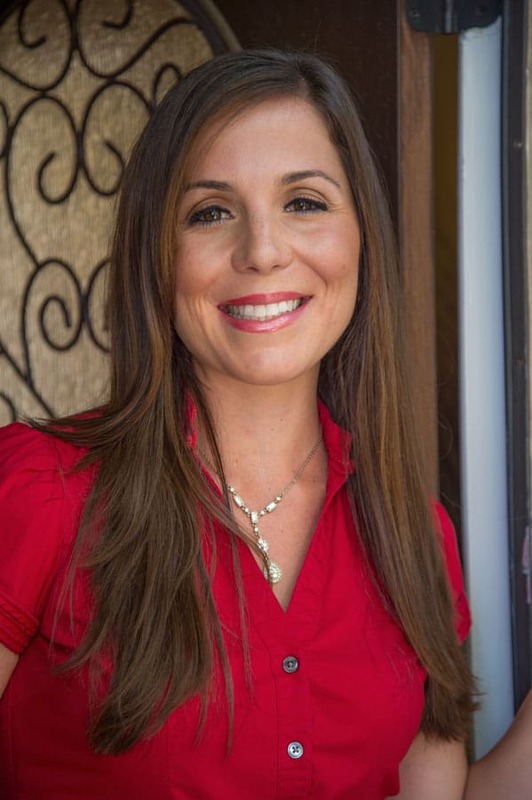 Now for those of you thinking… so… this chick eats cardboard, you are sadly mistaken. I’ve spent countless hours searching every nook and cranny of the market for the tastiest, most satisfying breads, wraps, pitas, bagels, etc. out there. I’ve come to find one of my favorite brands is Flatout. Not only does it have a variety for you to choose from (literally over 10+ flavors), you can also rest easy knowing these Harvest Wheat Wraps have 6 grams of fiber but also packs 7 grams of protein! Now, what are you waiting for? 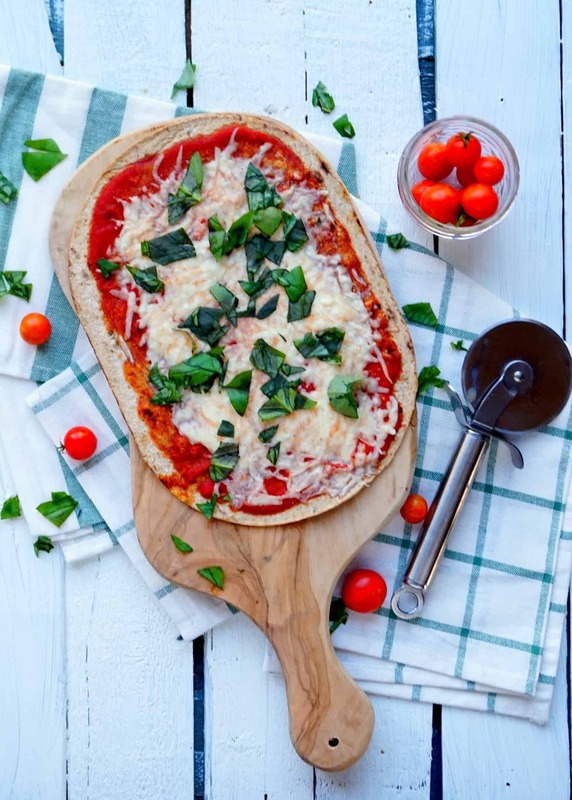 Dive into this flatbread with me and enjoy the no mess cleanup! 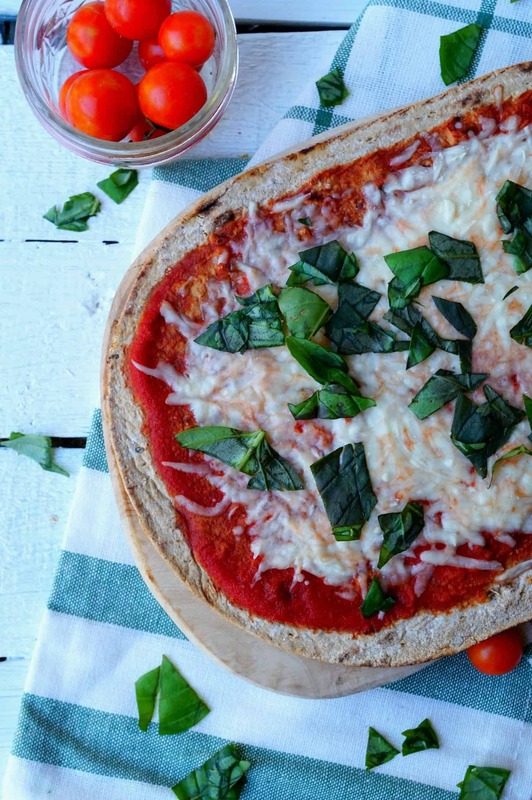 Looking for a quick pizza idea that won't rack up 1000 calories in one meal? Try this one, only 300 calories and amazingly delicious! Place Flatout on open air cookie sheet. Mix garlic and red pepper into tomato sauce, then spread evenly on lavash. Top wrap with diced cilantro, tomato and spinach. Sprinkle cheese over entire lavash. Bake for 8 minutes in oven. How does anyone give up carbs? Seriously, I can’t go a meal without carbs! This looks so delicious! 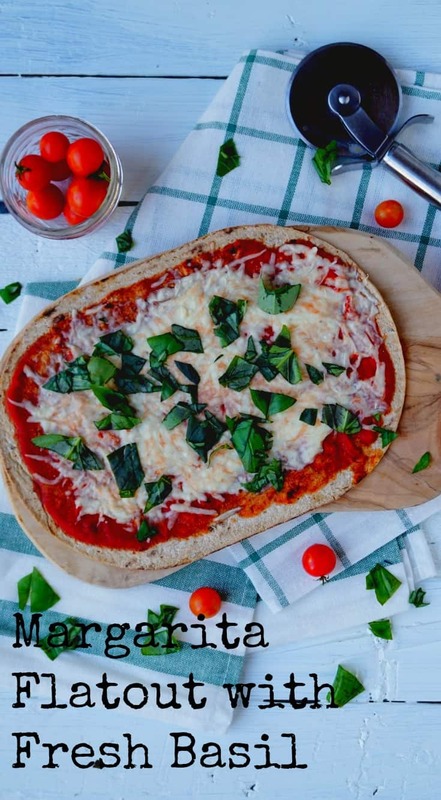 I haven’t found these flatbreads before but I love a good flatbread pizza, can’t wait to try it now! You and me both! I seriously plan my meals around CARBS! Enjoy… I promise you won’t be disappointed with these. Count me in as a carb lover! And I love crispy pizza so this is right up my alley. Love the simplicity! This reminds me of thin crust pizza, I prefer a thinner crust so this is perfect and no rolling out any pizza dough! This looks phenomenal! Such a perfect recipe to celebrate the weekend! Thanks!!! I know, so simple and easy to really enjoy your time with the family! Carb lovers unite! How did I ever miss this?! 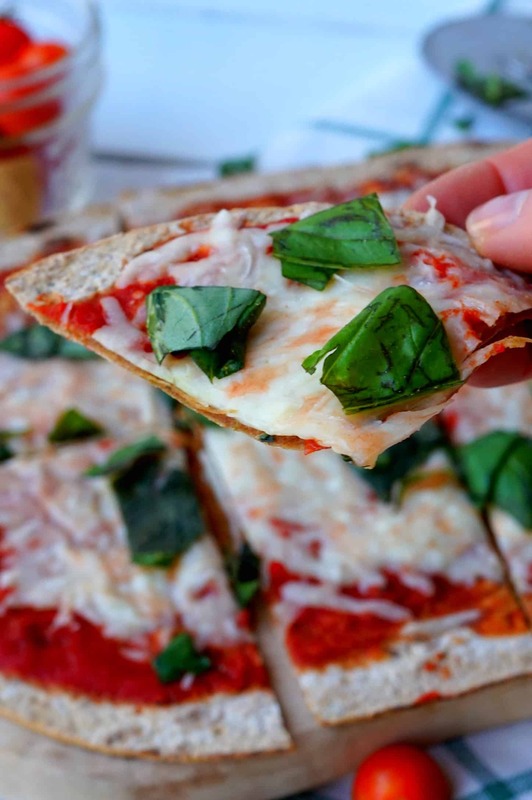 Flatbread pizzas are one of my fave easy dinners. Can’t get better than tomato sauce, veggies, and cheese! It’s probably because I wrote it before I realized social media existed and I needed to meet you awesome ladies! Enjoy!